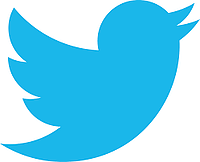 Twitter Integration With Maximo? Yes, Please! I n a world where customer service is king and there are more than 300M active users on Twitter, wouldn't it be natural for a Maximo - Twitter integration? And now there is! This week during InterConnect 2016, Interloc will be showcasing a simple Maximo - Twitter Integration. If you are a customer-service oriented company, we invite you to come by Booth 801 and see how Interloc has modified Maximo applications so that they are integrated with Twitter. This integration modifies the Locations and Assets application and responds to Twitter hashtags. From improved communications to your users to improved customer service to improved business processes, Interloc's Maximo-Twitter integration is sure to result in improved customer service, resulting in greater customer loyalty. Watch the video or come by Booth 801 to learn more.